The video game includes many components - it's the source code of the program, graphics, music, script, characters, etc. All these objects can be protected by intellectual rights. We'll figure out what rights are at the developers of computer games and how to protect them. In the legislation of the Russian Federation there is no indication of a computer game as a separate object of intellectual rights. In practice, computer games are referred to computer programs and /or composite works (which include several objects of intellectual rights). And in that, and in another case it is a question of copyrights. Parts of the game can be patented as industrial designs or registered as trademarks. - and another (the list is not exhaustive). Separately, it is worth mentioning about the protection of the plot of the game. In the law directly about the plot, too, there is not a word. Usually, stories are equated with ideas. Ideas are not subject to protection. If it was otherwise, it would severely limit the possibility of creating new games, since the number of stories is finite. For example, the plot (some old game like "Super Mario Superboys") and (a modern game, where, for example, the plot - to save the lady of the heart from the castle of the villain) have similar subjects. Copyright is good because the creation of rights does not require registration in state bodies (they have been in effect since the creation in an objective form). However, this does not mean that no documents are required to create rights. It is important to properly draw up documents on the creation of the game (more details below). The above also means that you can not just use other people's objects in your game. Any of the objects described above is protected by copyright by default and its use is prohibited without the permission of the copyright holder. In other words, to be calm when using "pictures from the Internet", you do not need to use pictures from the Internet. With free sites where you can download any content you need to be cautious - very often it is a pirate warehouse with conditional "diskleimers", which, by the way, do not work in Russia. The surest way is to purchase licenses for the necessary objects on proven large sites, order the development of necessary facilities or create them independently. - Images of characters, original game elements, etc. GTA, The Sims, Need for Speed, World of Warcraft, Half Life. All Angry birds characters are registered as trademarks individually. 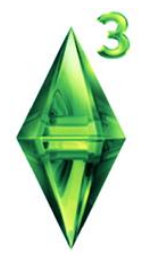 Green plombob (crystal above the head of a character from Sims) is also registered as a trademark. Registered trademark No. 39556? copyright holder Electronics Arts Inc. In court it is easier to prove that the use of a separate element from the game is a violation of exclusive rights, if such an element is registered as a trademark. In addition, it is easier to earn money with the trademarks on the recognized attributes of the game - to sell licenses to manufacturers of clothes, children's toys, stationery, etc. In order to register a trademark, you need to make sure that the designation (picture, name, etc.) complies with the requirements of the law, and no one has registered it yet. In short, these requirements are reduced to ensuring that the trademark does not mislead consumers and has a distinctive ability. The full list of grounds for refusal of registration is contained in Art. 1483 of the Civil Code of the Russian Federation. Trademarks must be registered with Rospatent. Registration lasts an average of 8-12 months. Term of protection - 10 years, can be extended unlimited number of times. 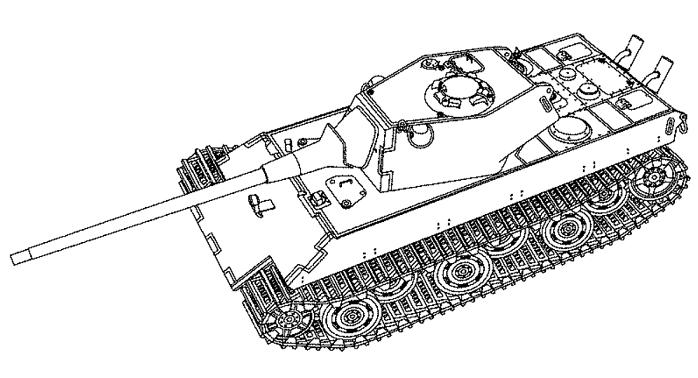 The interface of the game or its parts can be patented as industrial designs (the appearance is guarded). Industrial designs, as well as trademarks, are registered with Rospatent. The term of protection is 5 years, it can be extended several times for another 5 years, but not more than 25 years. A little about registration of relations with workers. Since intellectual property is immaterial, it is important to properly "document" the rights to the intellectual property created by the developers of the results of intellectual activity. There are two options for formalizing the relationship - under an employment contract or under a civil law contract (GPC). The law establishes that as a general rule, if an employee has developed an object of intellectual rights, the rights to it belong to the employer. - The employee transferred the rights to the object to the employer (formalized by the act of acceptance and transfer). In the case of the GPC contract, it is also important that it is clear that the development of which object you ordered and what you got as a result. The terms of reference should be detailed, the results of the work should be signed by the act with the application of the results of the work. The rightholder has the right to prohibit the use of its facilities without permission (such right can be used as compulsion to conclude licensing agreements with regular royalties), and also to recover compensation or damages. When recovering compensation, you do not need to prove the amount of losses. The court determines whether the right belongs to the plaintiff and whether the defendant violated it. The amount of compensation is affected by the method of use, the period of time, whether such violation is committed for the first time, etc. There are several ways of calculating compensation, the simplest one is recovery from 1?000 rubles. up to ??? rubles. for one violation. Another method of calculation is used when there is confirmed data on the number of pirated copies. For example, there is information about manufacturing a batch of unlicensed disks. To calculate the compensation, the cost of the lot of such a number of license disks is taken and multiplied by two. There are a lot of such disputes. Some rights holders arrange "raids" for violators in all regions of the country. In addition to civil liability, it is possible to bring to administrative and even criminal. And if there are not so many criminal cases, then administrative fines are collected often - in case of copyright infringement, fines can reach 4?000 rubles. for violation, on trademarks - up to ??? rubles. With the confiscation of counterfeit and funds for its production. In conclusion, I note that the last few years, the protection of intellectual property in Russia is becoming a trend. Now it's no longer worth thinking about creating a product using pirated content, and professional developers of computer games, first of all, even before starting work prefer to attend to the future protection of the results of intellectual activity.